Unfair competition is any wrongful business practice that causes economic harm. These wrongful practices include confusing customers as to the source of a product through trademark infringement or misappropriation of intellectual property or other intangible assets unprotected by trademark or copyright. An experienced New York business lawyer can help you take action against these acts and other illegal business practices by those who seek to profit unfairly from your hard work. Federal and state laws regulate business activities and protect against unfair competition. Your New York commercial litigation lawyer can assist you in identifying the best course of action to protect your interests. You have several legal weapons at your disposal to fight unfair competition. Your New York business lawyer can protect your rights by seeking injunctive relief (a court order) to prevent unfair competition in the future, and monetary damages to compensate you for any unfair competition that already may have occurred. You also may be able to obtain an order for the disgorgement of profits by a competitor found to have intentionally confused or deceived customers, or where the infringing activity involved counterfeits or imitations. Protections are available for registered and unregistered trademarks and trade dress. New York’s anti-dilution law protects against the blurring or tarnishing of a distinctive mark, which diminishes the rightful owner’s use of that mark as a unique identifier of its product. When the infringement is linked to inferior goods or used in a derogatory manner, your New York commercial litigation lawyer can assist you in prosecuting an action under New York’s anti-dilution statute. Further relief may include the destruction of infringing items, treble damages, and an award of attorneys’ fees. If you are concerned that your business is facing illegal and unfair competition, contact an experienced New York business litigation lawyer at Hiller, PC. 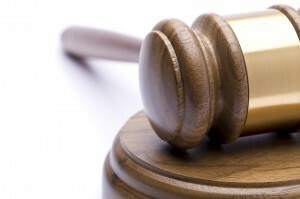 We handle all phases of a commercial case, from inception through trial and appeal. We are skilled and seasoned negotiators, experienced in mediation and arbitration, and we will work zealously on your behalf to restore a level and competitive playing field. Call us today, at 212-319-4000, to discuss your legal options.